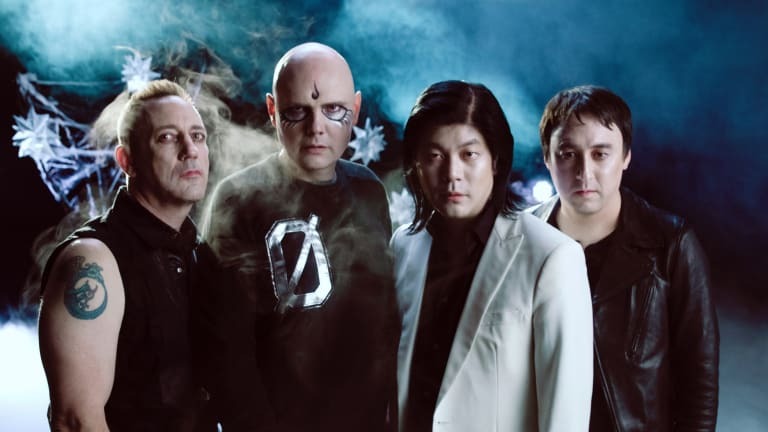 As they gear up for the August 8 launch of their much-anticipated summer tour, The Smashing Pumpkins and Noel Gallagher’s High Flying Birds have added a new date to the itinerary: an August 29 show at FivePoint Amphitheatre in Irvine, CA, presented by KROQ. Tickets go on sale to the general public this Friday, March 29th at 10am local time atLiveNation.com. Citi is the official presale credit card for the tour and Citi cardmembers will have access to purchase presale tickets beginning tomorrow, March 26th at 10:00 a.m.local time through Thursday, March 28 at 10:00 p.m. local time via Citi’s Private Pass program. For complete presale details visit www.citiprivatepass.com. Produced by Live Nation, the 16-city trek will feature outdoor performances at amphitheaters across North America throughout the month of August. AFI will be special guests on all dates. Noel Gallagher has been one of the UK’s most loved and successful songwriters for over a quarter of a century. His latest album, Who Built the Moon? debuted at #1 in the UK and was certified gold in less than two weeks of its release and marked his 10th consecutive chart-topping studio album in the UK — a feat no other artist has ever achieved. After leaving Oasis, Noel successfully launched his solo career as Noel Gallagher’s High Flying Birds with a self-titled album in 2011 which sold 2.5 million albums worldwide. Noel is the former lead guitarist and principal songwriter of Oasis, the 3X GRAMMY nominated UK rock band. Oasis quickly became one of the biggest bands in the world in the 90s, selling over 70 million albums worldwide to date, but, more than that, their music became the soundtrack of a generation. AFI is touring in support of critically acclaimed EP The Missing Man, which Brooklyn Vegan praised for “having that classic early 2000s AFI sound.” Since the release of 1995’s debut album Answer That and Stay Fashionable, AFI (Davey Havok, Jade Puget, Adam Carson and Hunter Burgan) has written and recorded five top ten hit singles, including “Miss Murder,” and “Girl’s Not Grey," hit No. 1 on The Billboard 200 with the stunning platinum certified Decemberunderground, garnered worldwide critical acclaim and amassed a fiercely loyal global following whose members number in the millions.